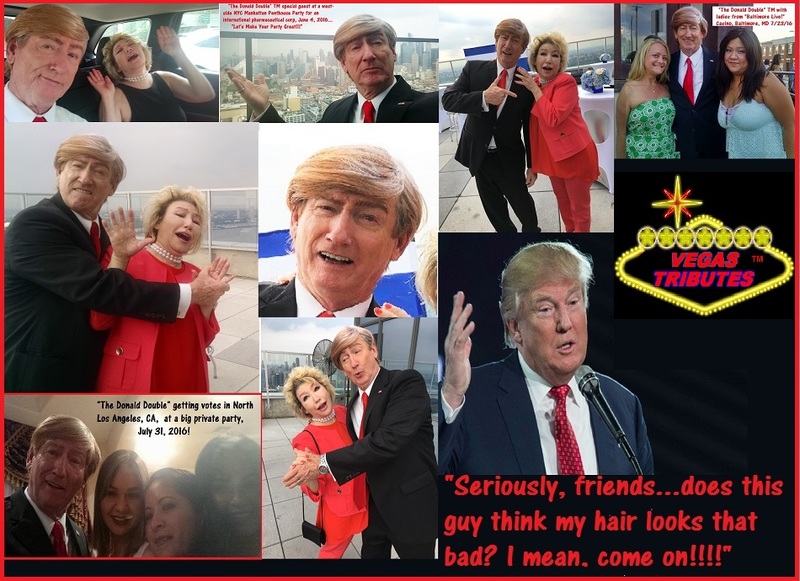 Photo above taken June 4, 2016...Below is a photo montage of our "Donald Double" taken just before President Trump's Inaugural Ball Party performance in Sanibel, FL, Jan 20, 2017! 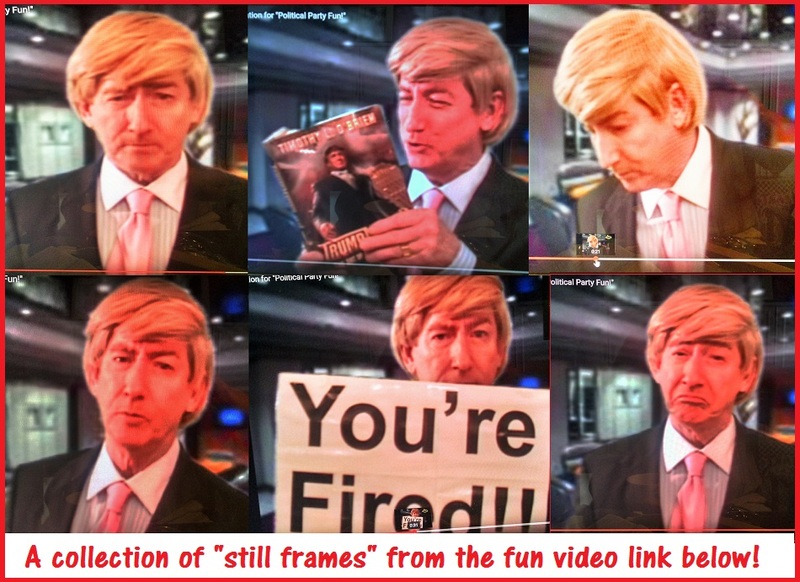 Here's another montage of our 'Donald Double' entertaining many great biz events since 2004, through to 2015, and now today, 2017, nationally for over 12 years...look how he's evolved!!! 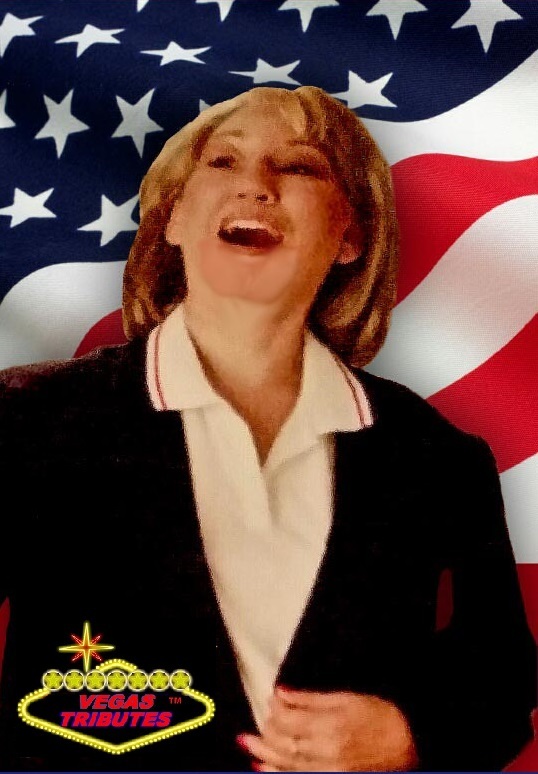 We also have "Hillary Clinton!" 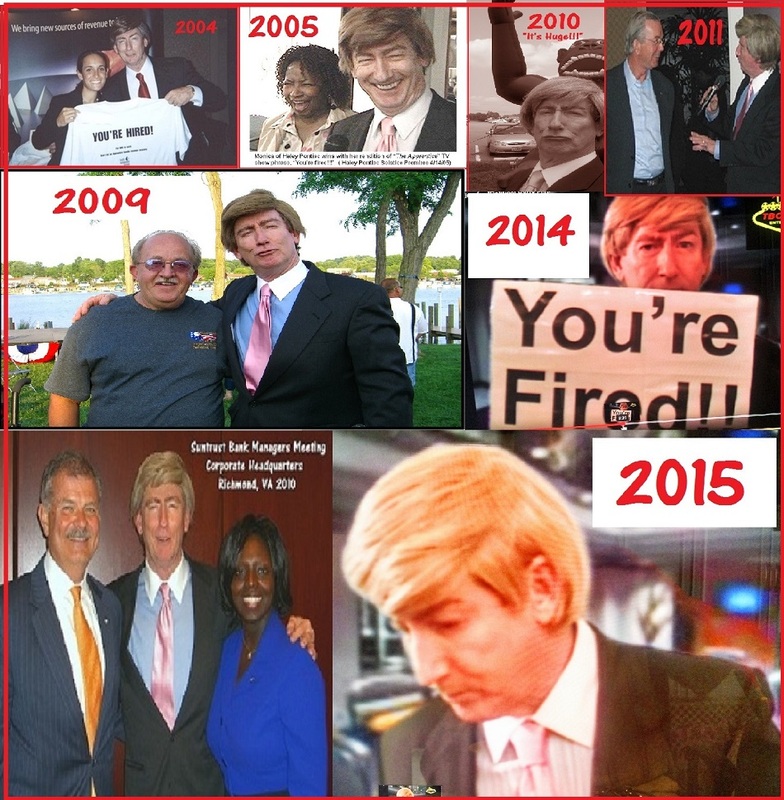 his Presidency, he's legendary in his own time!!! 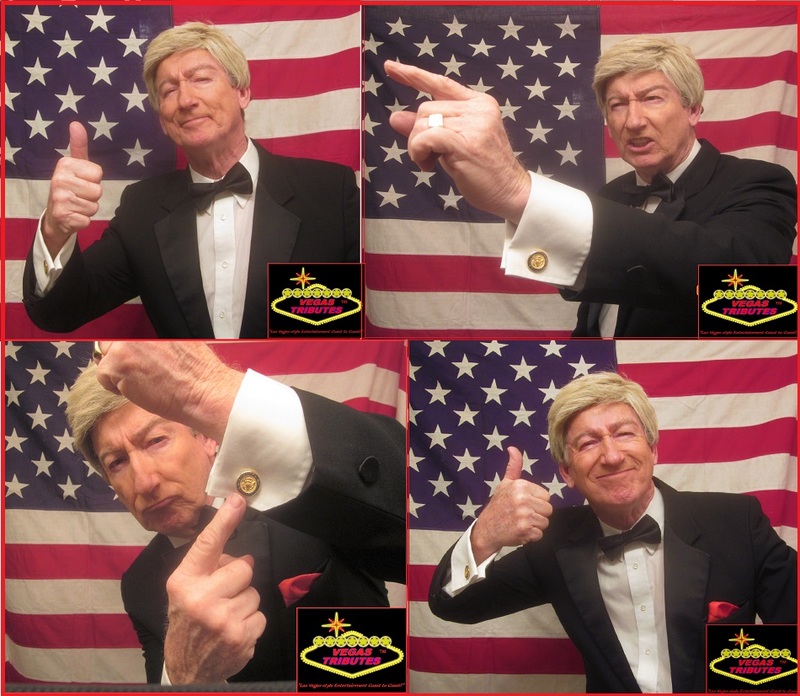 See fun "Trump impersonator" videos here, and the first one is from early this past year, talking about the USA just passing a record debt mark in January 2016! 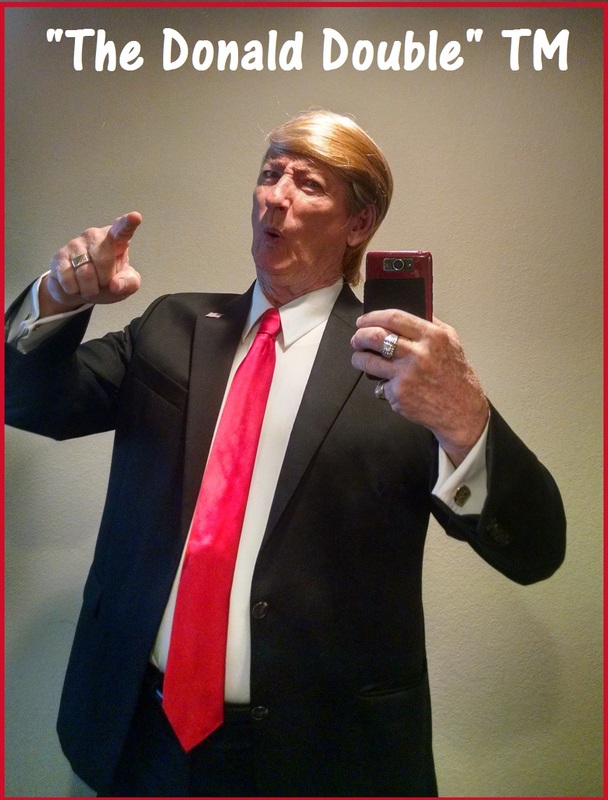 "Trump Talks about the $18,000,000,000,000 Debt under Obama's 8 years!!!" 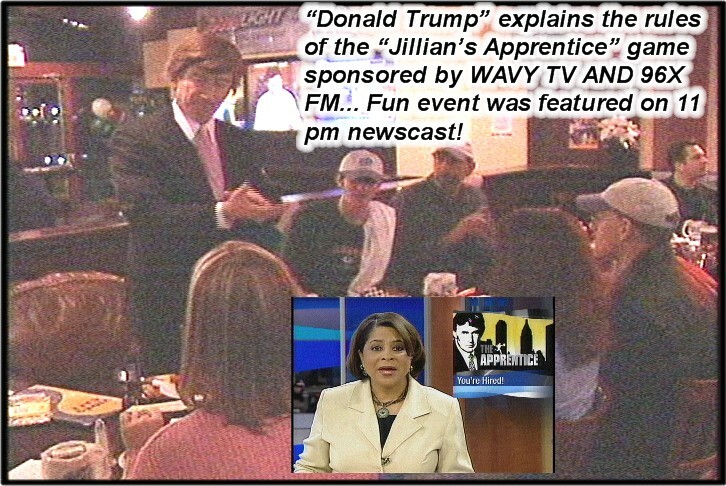 "Donald has a talk with an employee.".. 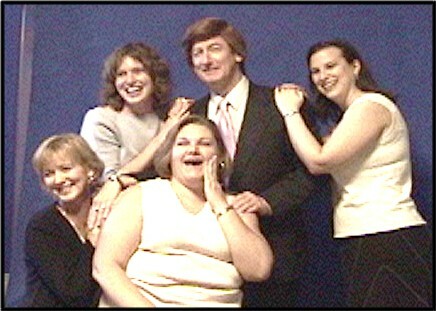 If you liked that one, here's another! 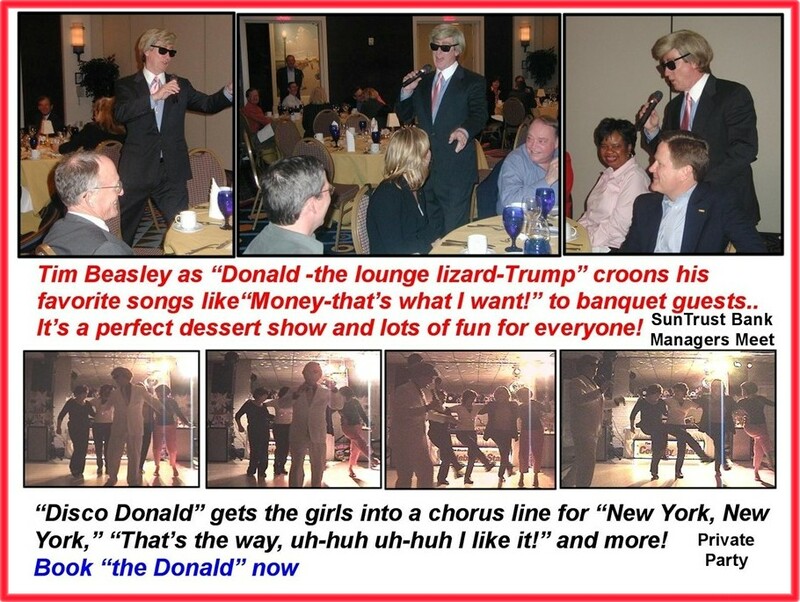 "Donald wants to offer you a 'ground level' deal!" 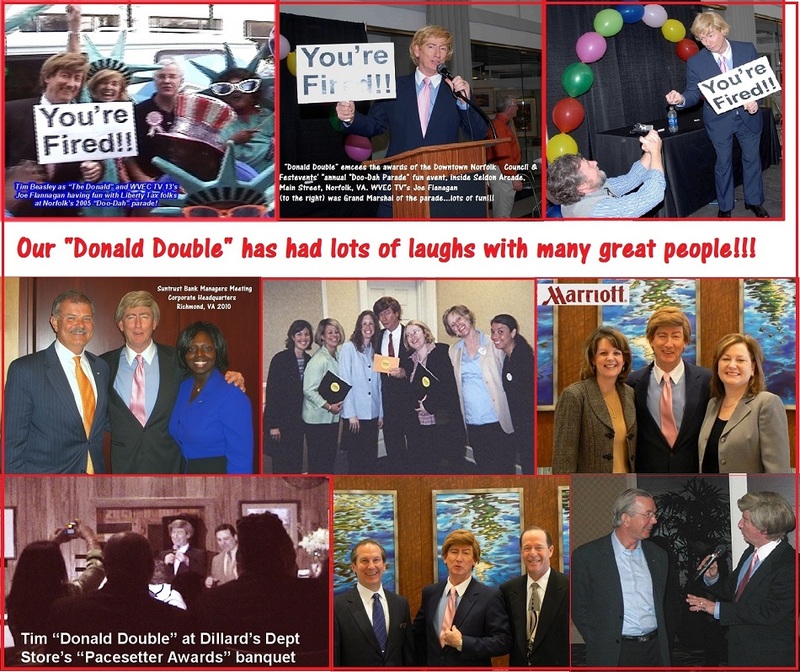 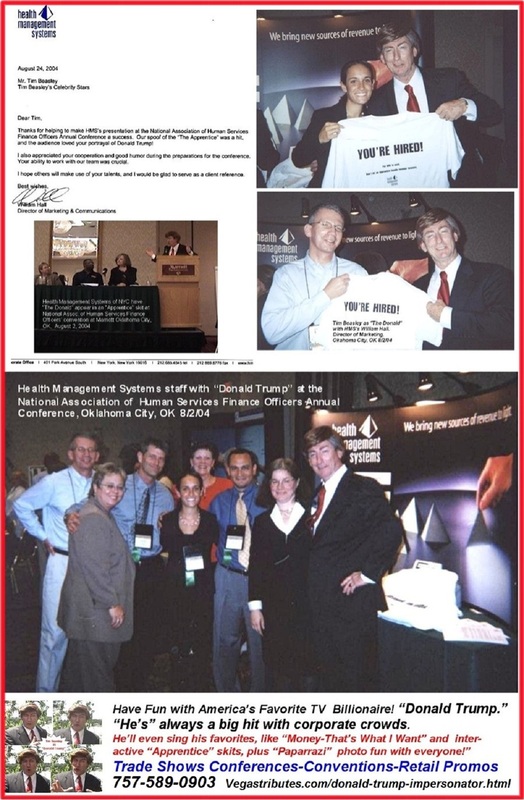 One of "Donald Double's" first national appearances, 12 years ago in Oklahoma City, OK! 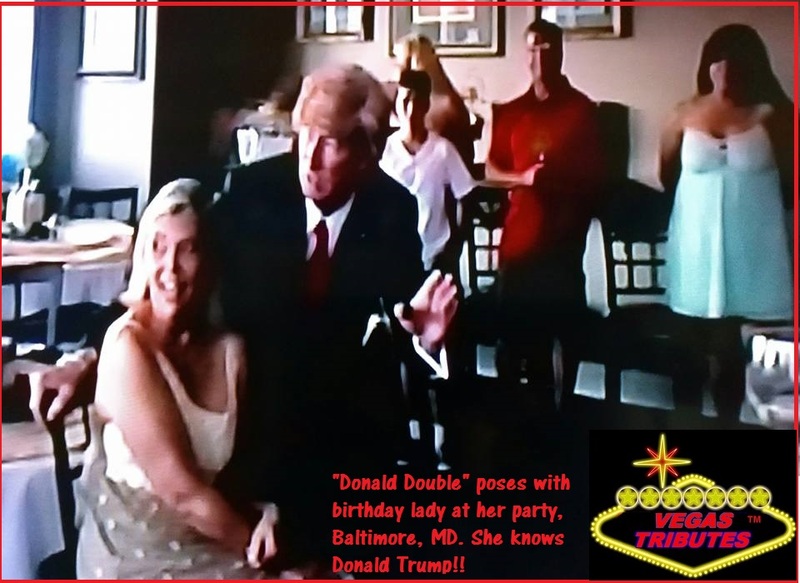 ...and one more, as an actual TV commercial with "Trump Impersonator" and several more of Tim's Vegas Tributes at one of his casinos! 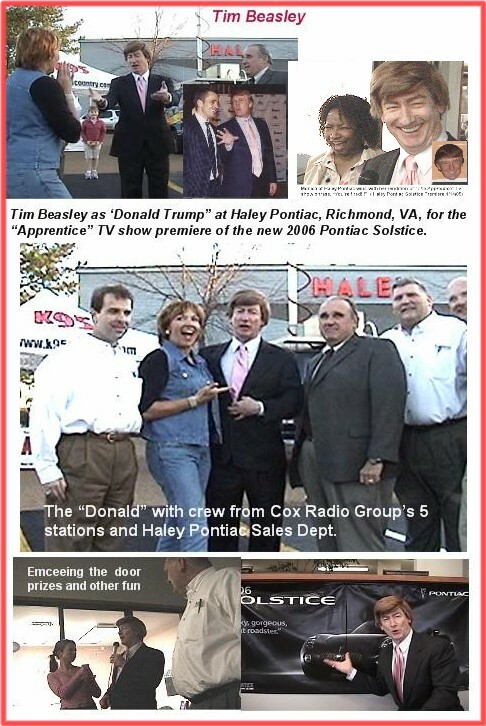 Since 2004, and now with over 12 years special events expereince in this unique role, Tim Beasley has performed professionally in his Donald Trump look, sound, act alike impersonation for recreating that kind of “Trump” excitement and paparazzi fun for many special events and is a "huge hit" at trade shows, "Apprentice"- style game shows and other corporate gatherings. 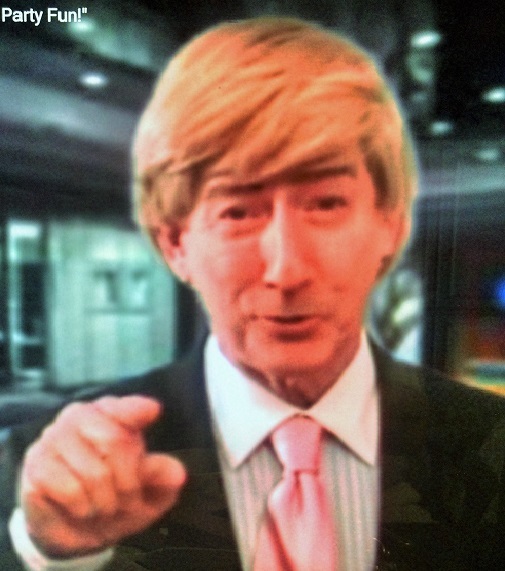 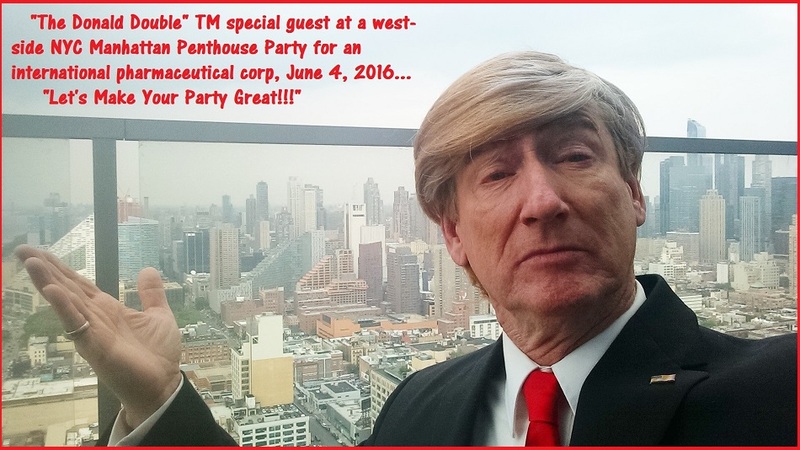 Plus, look for him as a Donald Trump look alike in TV commercials and retail promotions, too! 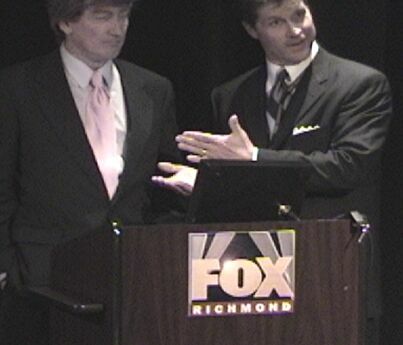 Master of Ceremonies for any occasion! 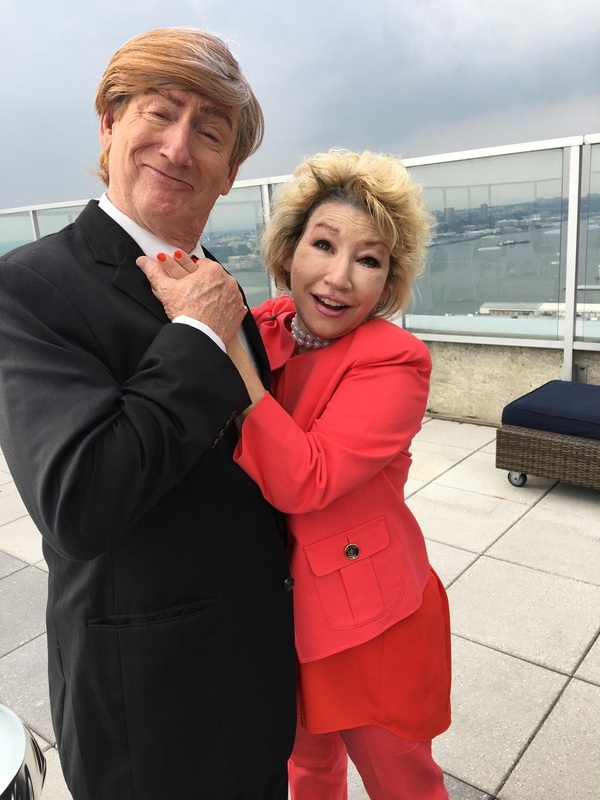 Just look! 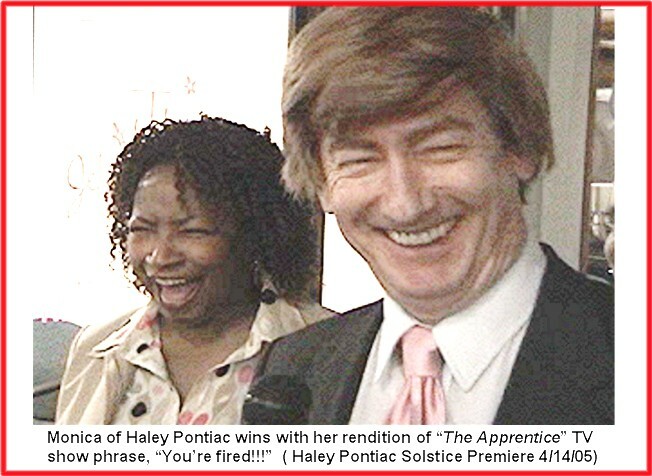 Our 'Donald" has been performing this party fun since the heydays of the first "Apprentice" TV hit shows of 2004, 2005!!! 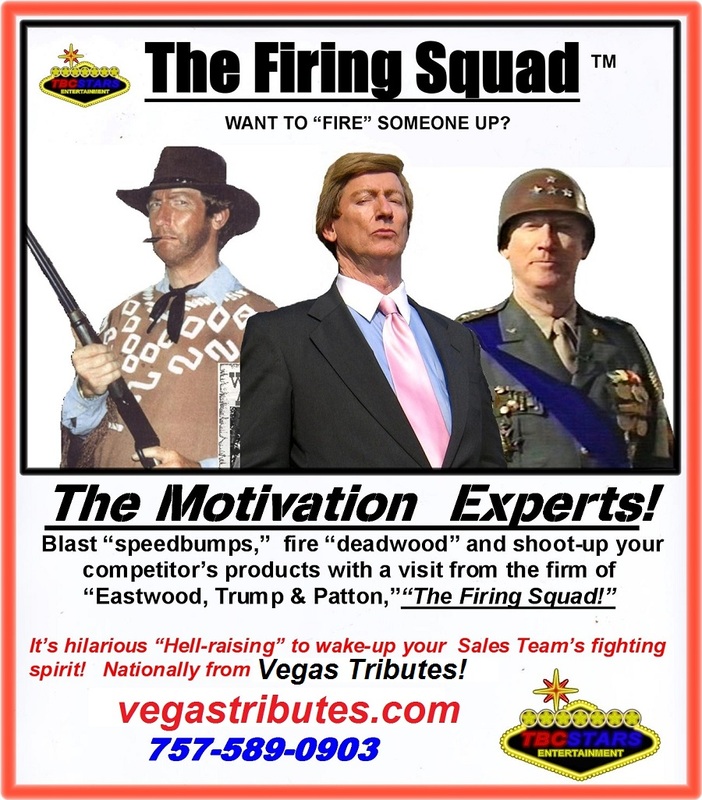 Please call, just like "The Donald," we love to talk!...and now, if we can get "Hillary" to shut up!!! 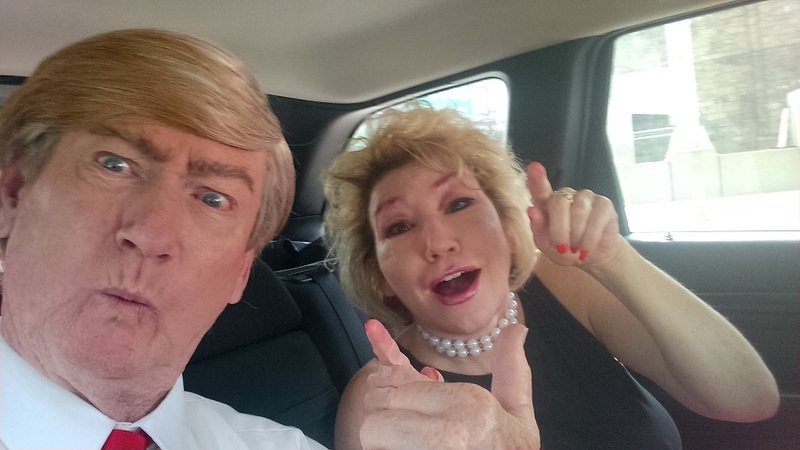 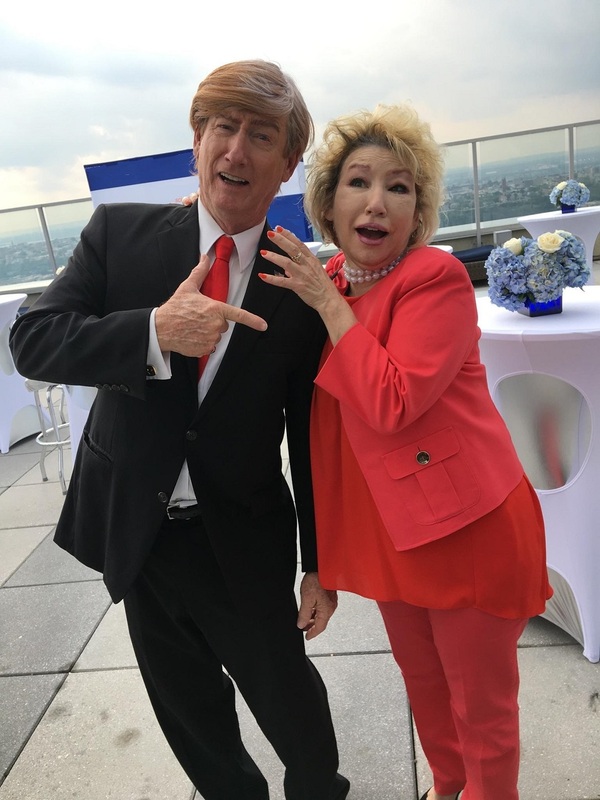 "The Donald" and "Hillary" share a car service into NYC for a fun event on 42nd Street!